Enjoy Free Shipping Fridays, available when you spend $50 or more on choice apparel from Thrillist’s members-only e-retailer affiliate JackThreads. 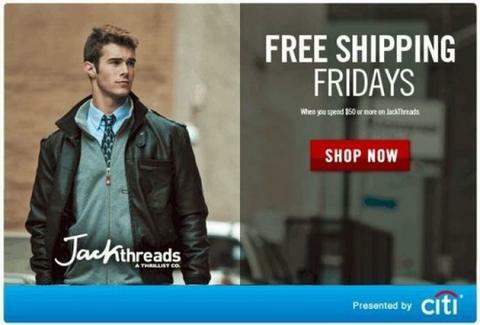 If you're new to JackThreads, get a $10 credit just for signing up with the online menswear shop. Enjoy both offers this November, presented by Citi. Fridays aren't the only day you can start enjoying more. Want to earn points for doing what you do every day? Then use the Citi ThankYou® Premier Card and you can make the most of every purchase, from breakfast to tickets to the big game. Plus, earn 20% more ThankYou Points at the supermarket, drugstore, and when you will fill up the tank at the gas station. 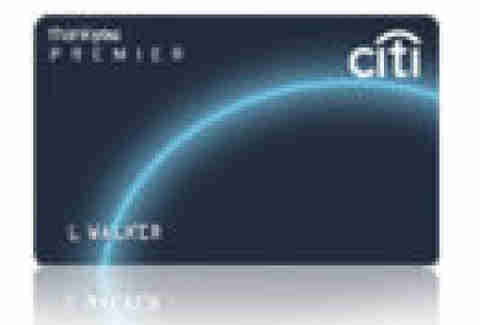 With the Citi ThankYou Premier Card, you can earn points fast and redeem them for just about anything. ThankYou Points have no caps and don’t expire, so when you pay with the Citi ThankYou Premier Card, you can keep earning and save up for something big, or start redeeming with as little as 100 points for a song download. On top of that, you can get a free companion ticket for continental U.S. travel every year with no blackout dates, so you and a friend can show off your new threads in a new area code (all you have to do is cover taxes and fees). Head over to Citi's site to see the full slate of advantages you can gain from becoming a ThankYou Premier Card member.